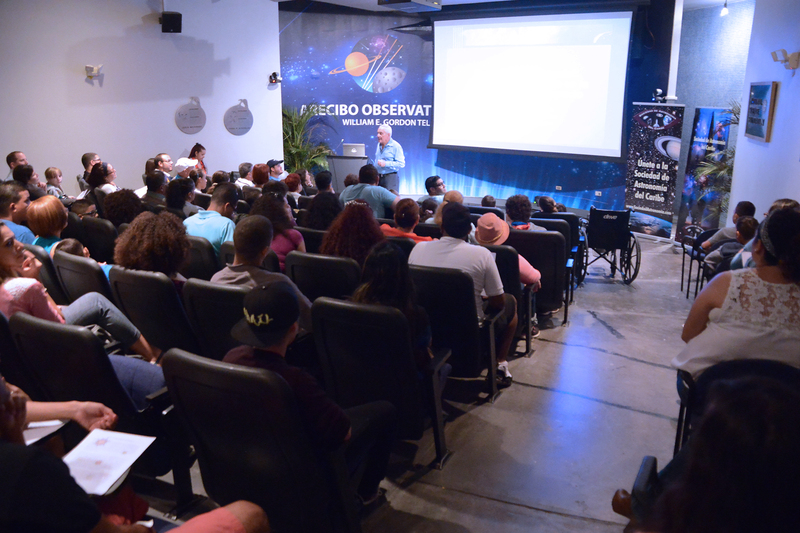 The newly refurbished and extended Science & Visitor Center, modernized exhibition space, and state-of-the-art auditorium welcome nearly 100,000 visitors a year and support Science Technology, Engineering, Arts and Math (STEAM) education at all levels throughout Puerto Rico and beyond. Adults $12.00, Children (5-12 years) and Seniors $8.00 Schools and Special Groups Call for Appointment. You can submit your reservation using our new request form. With your online contribution, you can support the continuous development of the Angel Ramos Foundation - Science & Visitor Center. The bilingual educational program, reflects the general idea that we can study the universe with tools which extend our direct sensory experience. The program explores the unseen sky and, in particular, the objects that fall under the scrutiny of our radio telescope. Specifically, the program offer a framework of basic astronomy and atmospheric science, and provides understanding of the function and operation of the radio telescope. Some of the most exciting new discoveries in the fields of radio astronomy, solar system radar astronomy and the earth's atmosphere are presented. 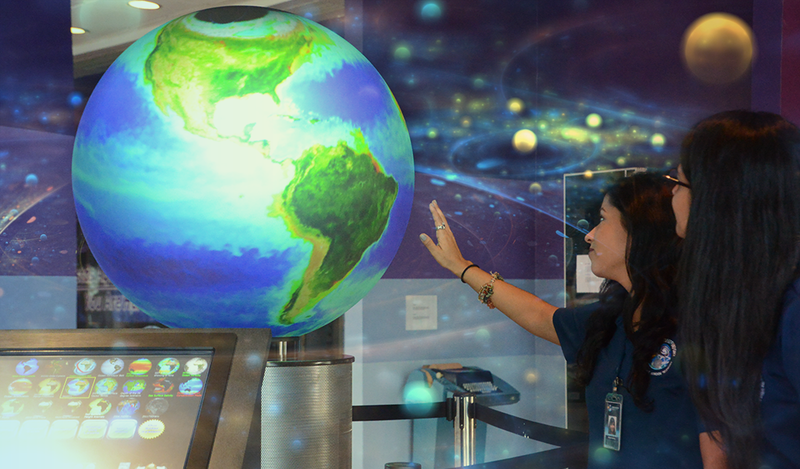 Visitors can learn about the planets, asteroids and comets, and how research is conducted on the atmosphere, the Solar System and the Universe in general. 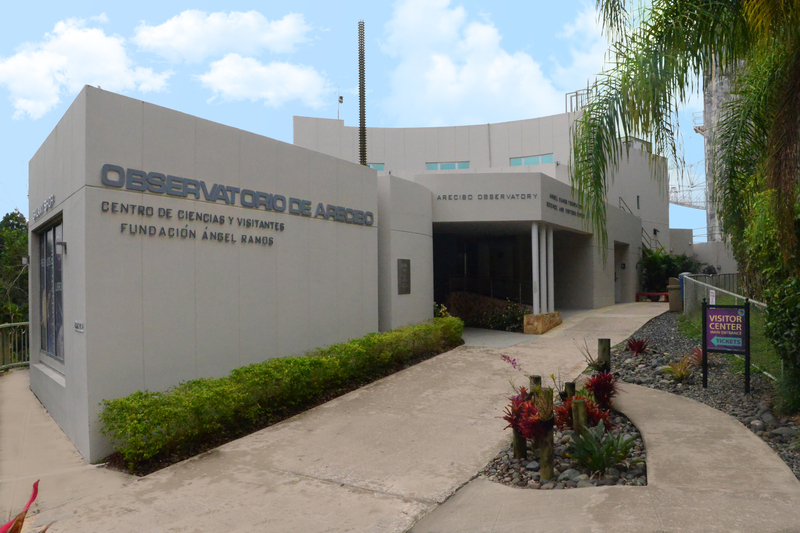 Visitors will also enjoy the movie "The Arecibo Observatory: Beyond the big dreams" which presents an overview of the science done in the Arecibo Observatory and will also be able to enjoy the view of the telescope from the observation deck located 367 feet above the 1,000-foot reflector dish located in a natural sinkhole in the northern area of Puerto Rico. Those who see the Arecibo radio telescope for the first time are astounded by the enormousness of the reflecting surface, or radio mirror. The huge "dish" is 305 m (1000 feet) in diameter, 167 feet deep, and covers an area of about twenty acres. The surface is made of almost 40,000 perforated aluminum panels, each measuring about 3 feet by 6 feet, supported by a network of steel cables strung across the underlying karst sinkhole. 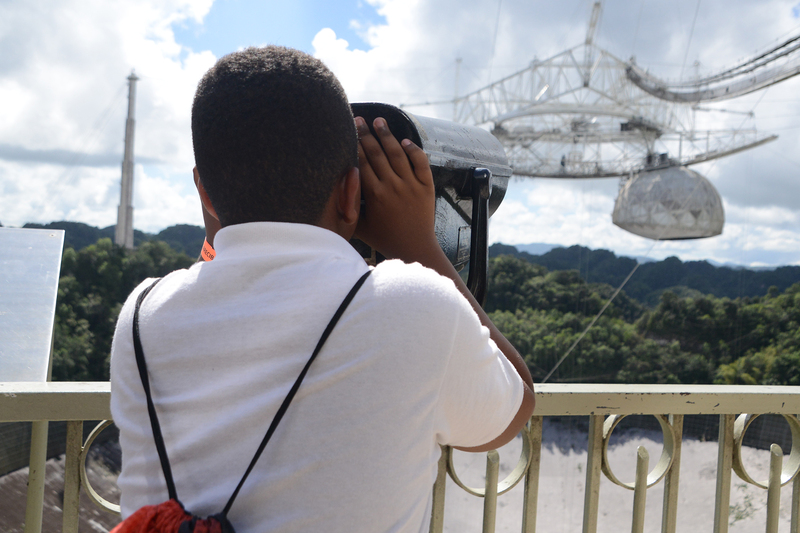 Enjoy the complete Arecibo Observatory experience and take along a souvenir. Perhaps you are excited to get something unique, or maybe you will like to take home a memory. The Galaxy Shop is a great place to shop for souvenirs, books and educational games.